Economical Air Control Solution !!! 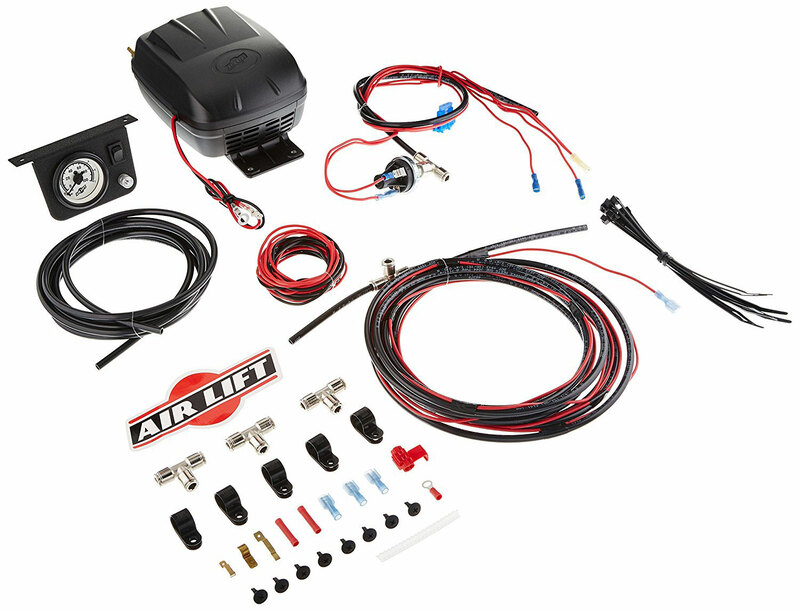 Air Lift # 25592 Load Controller II is you economical solution to controlling the air pressure in your air bag helper springs. This air system automatically maintains a safe air pressure. Includes the wiring harnesss, compressor and gauge with switch. 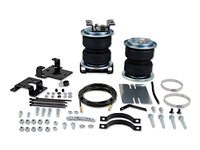 At Suspension Connection we are one of the largest retailers of Air Lift products in the world. 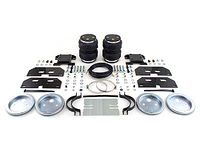 Great prices, expert knowledge and exceptional customer service are why so many customers trust us with their Air Lift purchases. Try us out! 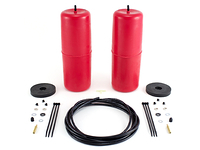 You don't want to rely on finding air at a service station for your air lift springs. I mounted my pump inside a plastic toolbox under the truck. Worked out nice. Plan your install and you will enjoy it. I am having trouble finding a place to mount the gauge panel and the pump. Not much room to work with. Quality product and excellent installing instructions. Took me about 1.5 hours with reading instructing first and then fitting the parts onto my truck. I needed to do something to relieve the load my trailer was putting on my trucks rear suspension, which depending on how I load my utility trailer, was causing my truck to ride low in the back. I have a trailer that I mostly use for firewood and a few other odd things, like mulch. 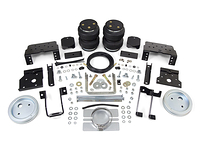 I talked to Air Lift and they recommended this kit for my 1/2 ton truck. I found the kit to be of high quality and it performs very well. I installed the optional air compressor under the rear seat in my extra cab. It has a control panel and pressure gauge that allows me to adjust the pressure, and thus ride height, right from the cab. Overall I'm very happy with the kit. It was a bit of a challenge to install, but if you are reasonably mechanical, it's not too bad. My Dodge has some indentations in the frame right where you want to mount the bracket for the Air Lift. I used spacers to get around this problem, but it required customizing them a bit. All-in-all, I'm very happy with the kit. Air Lift also had a rebate of 2X fifty dollars, one for the compressor kit, and one for the Air Lift kit. The rebate check of one hundred dollars come quite quickly. They seem to be a first class company. Installed this on my Dodge Ram. Really like being able to adjust the air pressure from my cab Should have used an air system long ago. Thanks. Have had this product installed for about 2 weeks. Have not had much time to test it, so far so good. Was able to install in about 2 hours.